I thought it would be fun to embark on a unique Heroscape project. 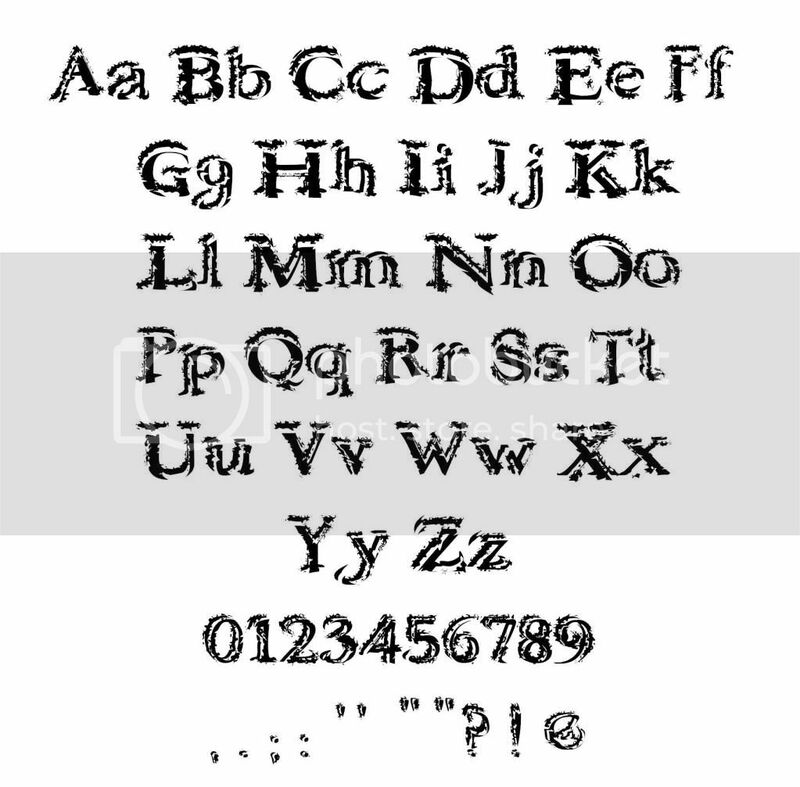 I am not a professional font designer but I am going to give it my hobbyist effort to create some fonts inspired by HS characters. If there is enough interest I will continue to upload whatever I come up with. If you have requests or ideas let me know. 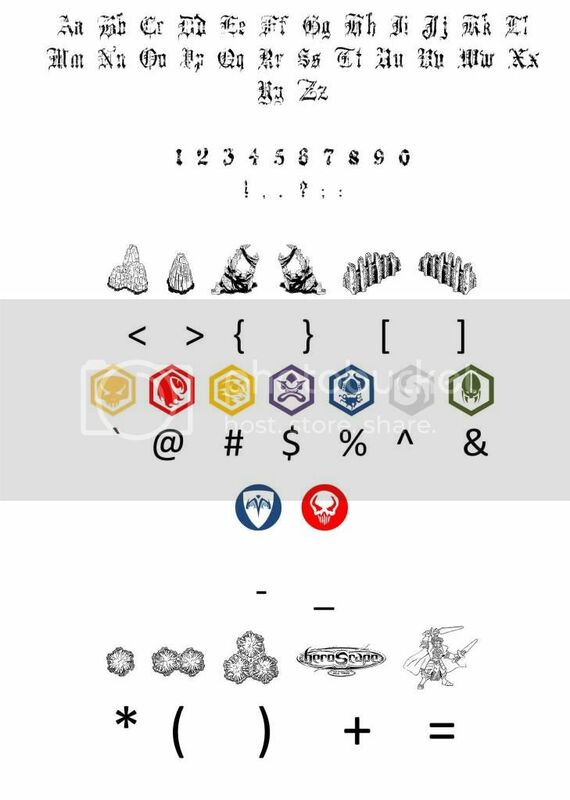 EDIT: 10/07/10- I have added the Valkrill symbol to all the fonts. 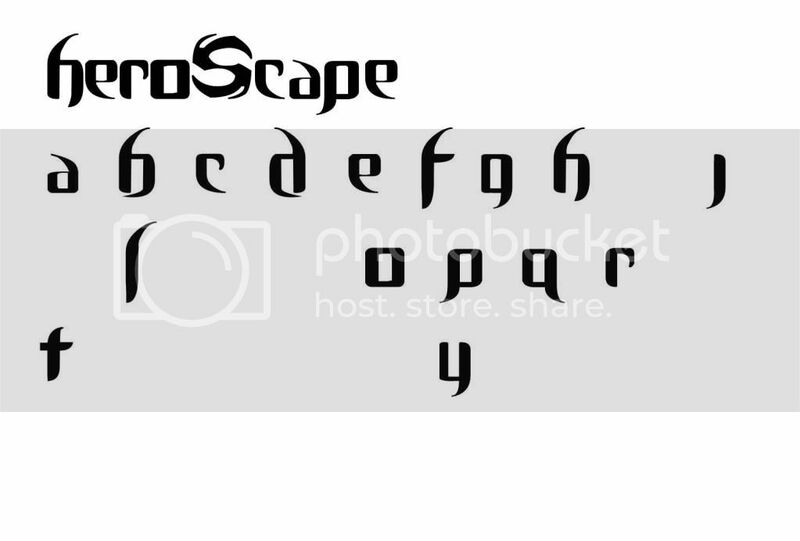 Well, here is the finished product for the Utgar Font. I was going for an orcish, primal style and from the feedback I got this design fit the bill. I wanted to include an Utgar dingbat but the art I found that would have worked was done by someone who hasn't been around for a couple of years and I couldn't get in touch with him. Oh, well, the font will work just fine without it. Enjoy and please be sure to let me know your thoughts and opinions on this and any other fonts here. After a whole lot of work I finally have a working font to offer. At this pint it is sans the numbers and puncuation in Ullar style but it does have them in the default style. It has the typical dingbats and such. After Christmas I will get back to it to add the numbers and punctuation. This was a hard font to do so I knew I wouldn't have time before Christmas. I wanted to be able to offer something as a small token of a Christmas present to the community that I have benefitted so much from. You can download the zip folder with the Ullar Font file and installation instructions here. I am not typically a fickle kind of person but after looking at the original Valkrill font I decided I didn't really like it as far as representing Valkrill. The font itself is OK, no "wow" factor to it or anything, it just didn't fit a general who seems to be characterized by chaos. You can download the zip folder with the font file and installation instructions here. Thanks for looking. Anyfeedback is greatly appreciated! 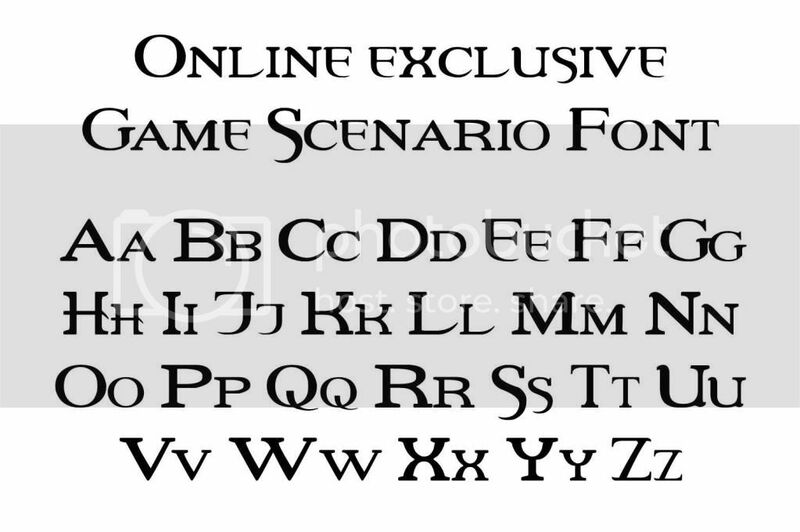 OK, here is the first of the fonts inspired by the genaerals of HS. As always, it comes with all the assorted dingbats and such. You can download the zip file containing the font and installation instructions here. 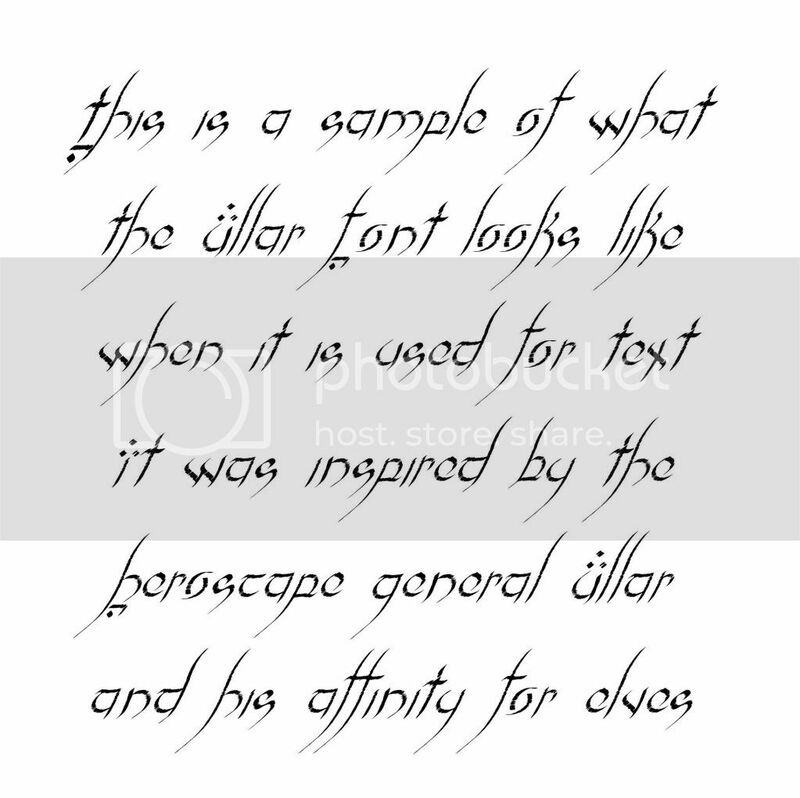 While I continue to deign the Marro font I thought I would go ahead and make this font available for general download. I created it some time ago for AliasQTip so he could use it with his Awesome Scenarios. Check them out! Since bmaczero created a Scenario Template I thought this would compliment it well. 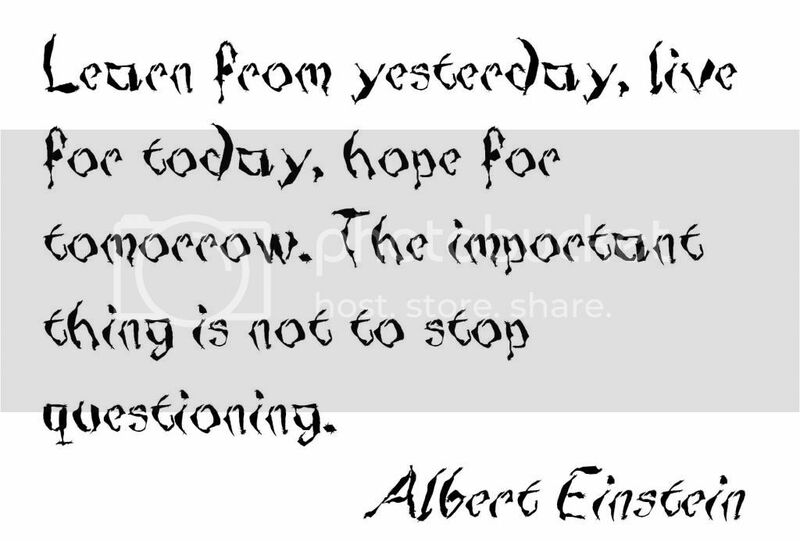 As I have already stated I am just a "hobbyist" when it comes to font creating. As such, my fonts lack something called "hinting" which helps their appearance at small sizes on a computer screen (I can't even go out and buy the software to do it; I have to submit an application for approval before I can buy it & ). Anyhow, it will print out just fine at smaller sizes, it just loses quality at smaller sizes when viewed on-screen. 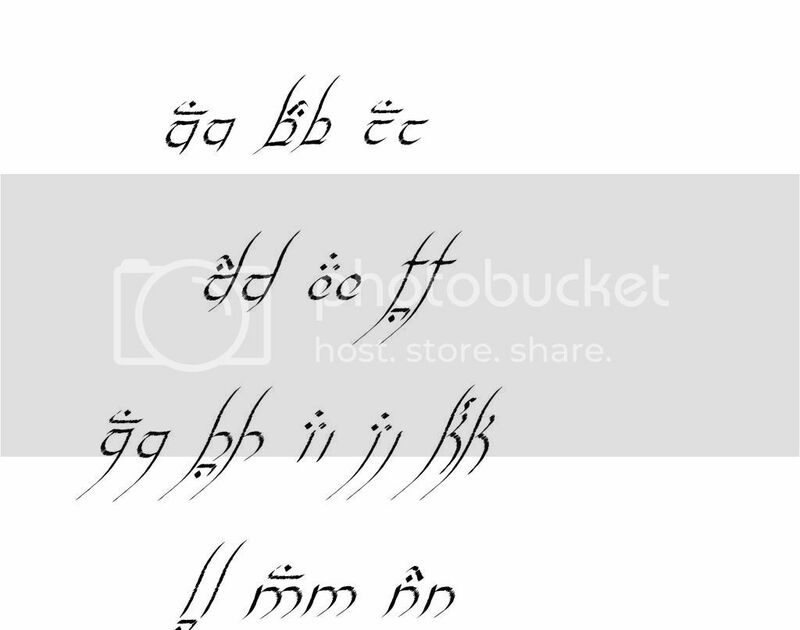 This is just a basic font, it doesn't have all the bells and whistles my other fonts have. Alright, I am done with what is probably my favorite font so far. Thank you again to all of you who gave your input and helped me design this font. It turned out just as I had imagined it (the first one to do so, I might add). For the colored dingbats I simply changed the font color for that particular dingbat. 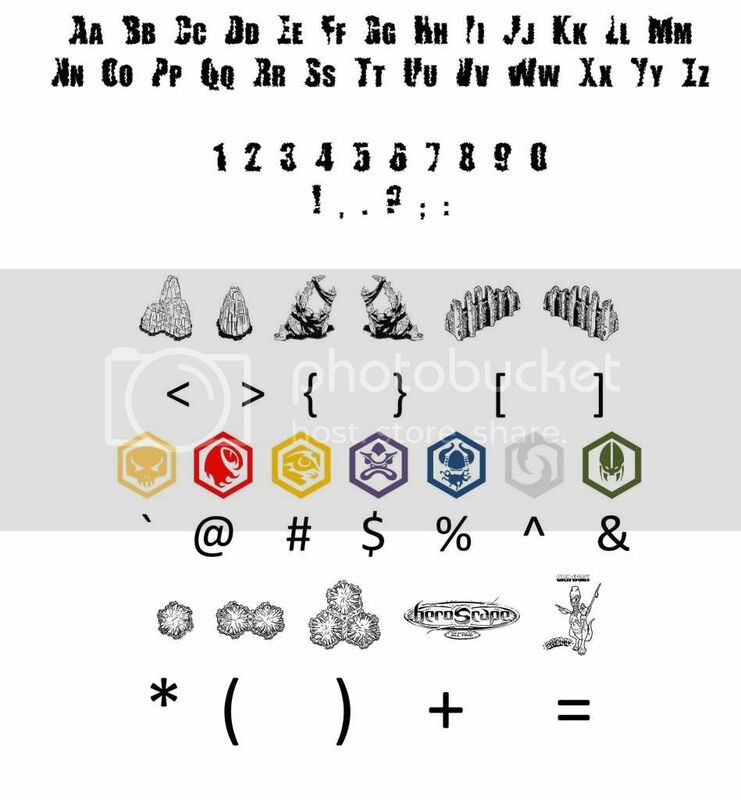 Thanks to lefton4ya and turtleking for helping me with ideas for the Cyprien dingbat. I wanted to wait until I had the numbers and punctuation done but it looks like I will have less spare time than I have had the past few weeks. I figured letters and dingbats only is better than no font at all. As time allows I will work on the numbers and punctuation and will release version 2.0 when I am done with those. In the mean time, I hope what I have to offer so far will do. BTW, the font looks best on the screen at point size 18 or greater. I don't have the expertise or software to "hint" the text for smaller sizes. However, it will print out just fine at smaller sizes. EDIT: If anyone wants it, here is the HS logo I used to make my sig with the HS Logo Font. Here is my first attempt. It is a font inspired by Agent Carr. I was going for a futuristic government "stencil" type of font. Since this was my first try at designing a font I didn't do it from scratch. It is a modification of the font Question of Time, which is one of my favorite sci fi fonts. 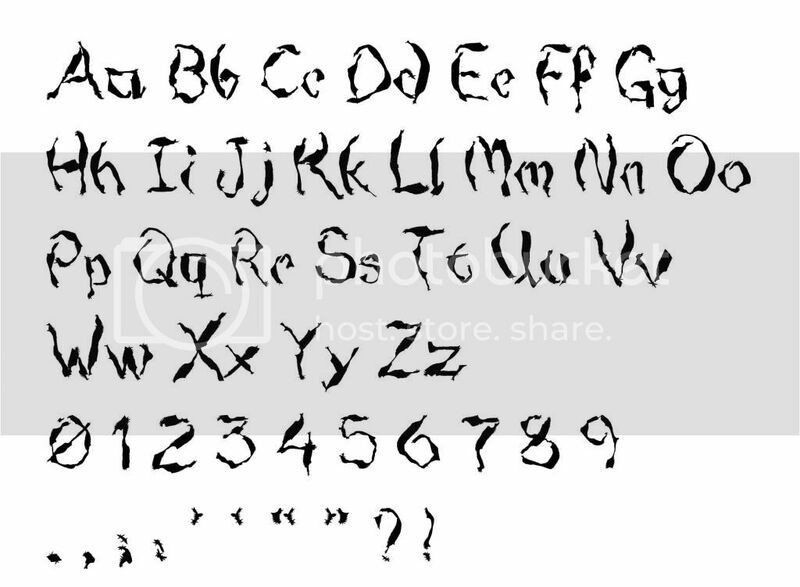 This is the Grimnak Chomp font. Need I say where the inspiration came from? 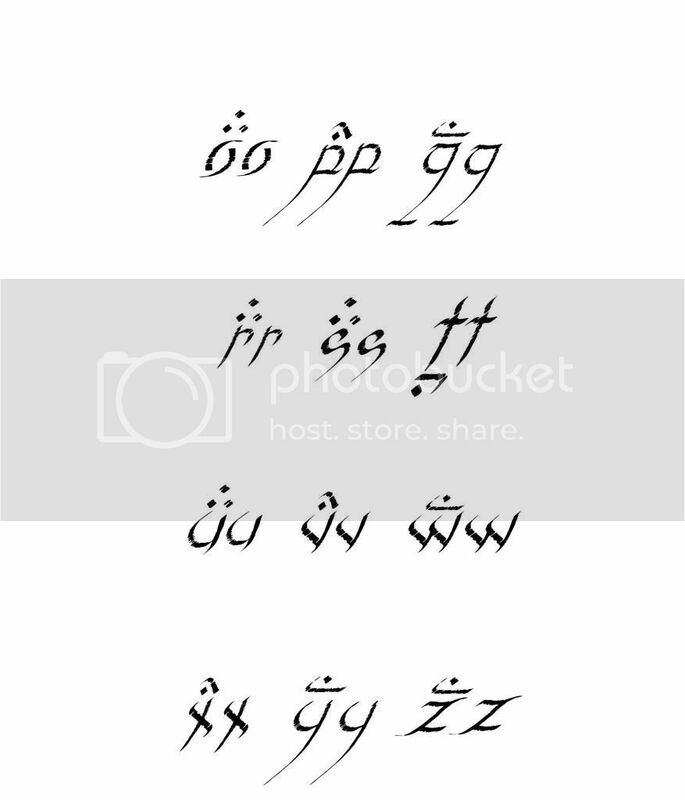 UPDATE: 08/27/10: AliasQTip kindly allowed me to include his rendering of Grimnak as a dingbat in the font. You can find the original in his Coloring and Activity Book thread. You can download the zip folder containing the True Type font file here. Last edited by Lamaclown; December 20th, 2012 at 08:17 AM. Carr Font totally reminds me of Star Wars for some reason. Keep up the good work! Strong arms and sharp steel rule this world. Sweet! how did you make/design it? Applications used but also did you start from scratch or base off something else? Have you thought about making a Heroscape font (like in the logo)? Or has anyone else done it, that you know of? It is already in the works. Sorry, I forgot to answer your question. I used paint.net (a free photoshop imitation program) to design (and in the case of Carr, to modify) the fonts. 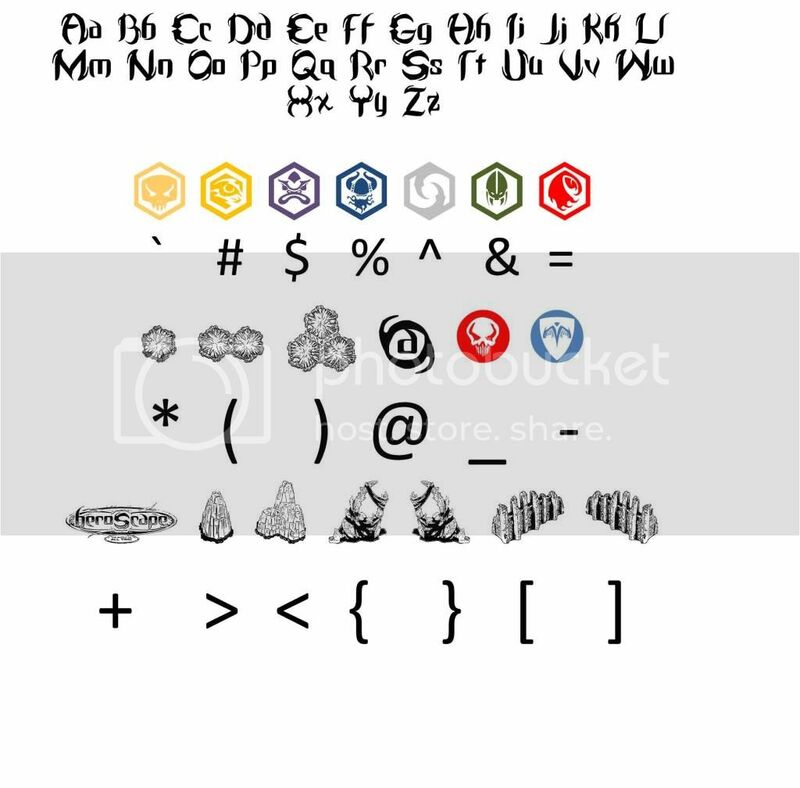 I then used a program called Font Creator (not so free) to create the font. Yes, I am a fontiphiliac. Does admitting I have 1700+ fonts installed on my computer make me eligible for said recovery program? Welcome to the club, bro! 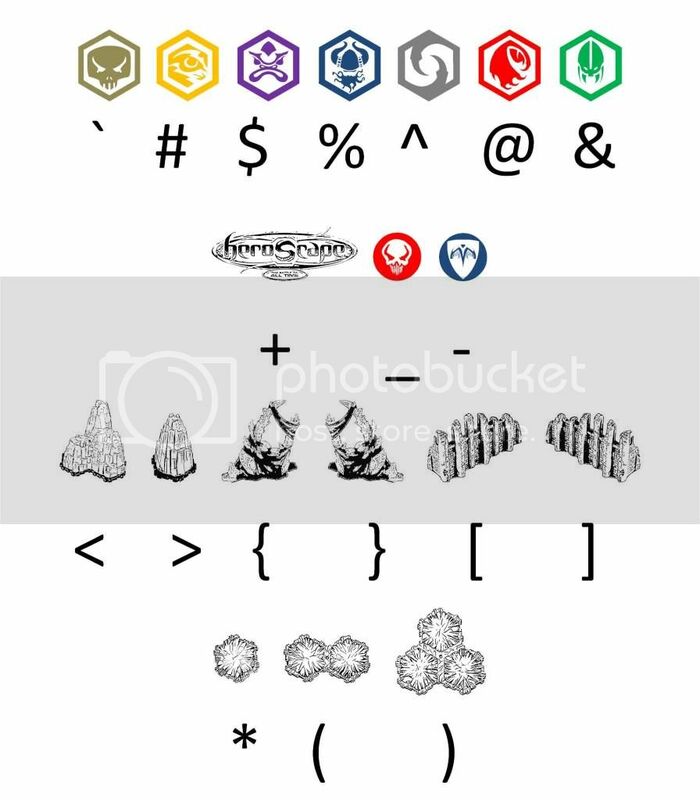 Here is what I have done so far on the HS Logo font. 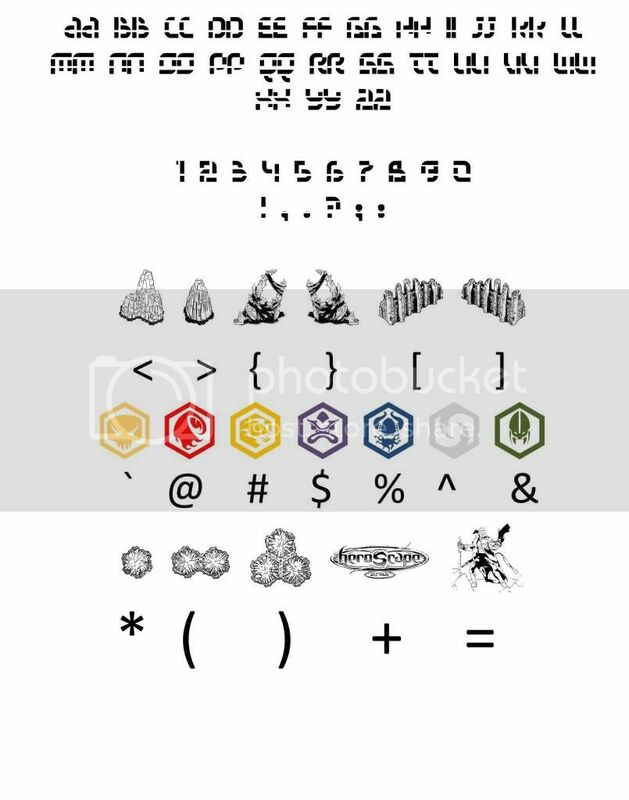 It is still a rough draft so there are some changes to be made in addition to all of the caps and the numbers and punctuations (fonts without numbers and punctuations annoy me). Do you have a Cyprien font yet? Sometimes I think you snuck back into line when they were handing out creativity. Looking awesome! Can't wait until you have it finished! Good idea! That will be first on my list after I am done with the HS Logo font. Thanks! LOL! Thanks for the encouragment! Last edited by Lamaclown; August 24th, 2010 at 07:42 AM.